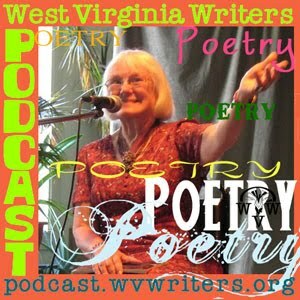 Concluding our National Poetry Month celebration, this week for the WVW Podcast Bonus Show 11, we play a rebroadcast with poet Mary Lucille DeBerry, originally posted as Episode #13 last July. In it we speak to Mary Lucille about her poetry collection Bertha Butcher's Coat. The interview also features several readings from that work as well as discussions of the techniques Mary Lucille has used to inspire those poems. We continue our celebration of National Poetry Month with more Recorded Live Readings. This two-part episode features poetry recorded at the Spoken Word Event sponsored by the Independent Theatre Collective in Wheeling, WV, as part of the Oglebay Institute's Imagination Celebration 2010. 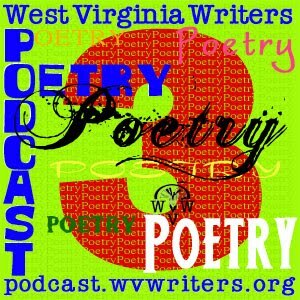 In Part 1 we feature John E. Reilly reading from Diane Gilliam Fisher's Kettle Bottom, and some original poetry by Wheeling poet Duncan Kinder. In Part 2 we feature Independent Theatre Collective president and co-founder Jeremy Richter reading Mark Twain's posthumously published The War Prayer. We also have a recording of a moving poem by a young Wheeling poet named Creighton Hill. 4/25/10 PART 1 IS NOW UPDATED TO INCLUDE THE KETTLEBOTTOM SEGMENT. UPDATE 5/6/10: The Hotline for the WV Writers MomCast 2010 is now closed. 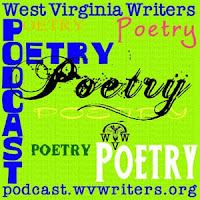 In honor of Mother's Day (May 9, 2010), the WV Writers Podcast is seeking your poems, short stories and essays on the topic of your mom. Furthermore, we'd like to broadcast you reading them. In order to do this, we've set up a special Mother's Day Hotline which will allow us to record your poems, stories, etc. and be able to play them back on our Mother's Day Podcast, which will be posted May 9. Have your piece in hand. Phone our Mother's Day hotline at 304-661-9745 (this is a WV-based cellular number, so long distance charges may apply). Wait for the voicemail to pick up (usually after 4 rings) and listen to the opening. Read your story, essay or poem. Please try to keep them under 2 minutes 45 seconds in length. Anything longer than this will be automatically cut off by the voicemail. If you have a longer piece, feel free to call back and continue it in a second segment. However, please limit the entire piece to between 4 and 5 minutes. Preference may be given to pieces shorter than 2:45. Depending on the number of pieces we receive, we may or may not be able to use all of them. If you mess up while reading, it's no problem. Just pause and then say "THREE, TWO, ONE..." and start where you left off. We'll edit out the messups on our end. This is something of an experiment, so please help us out by participating. Everybody's got a good mother story in them, so please share yours. Participation is not limited to WV Writers members, though if we have more entries than we can use preference will be shown to our members. 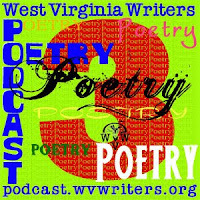 This week we have part 2 of our recorded live poetry reading from the Greenbrier Valley Theatre's Poetry Literary Tea this past November. Featured poets this week include Ellen Broudy, Tim Armentrout and your host Eric Fritzius, reading a Cheryl Denise poem as recorded at a reading in Mercer County this past December. "Local Heroes Local Foes" recorded live reading, linked from MisterHerman.com. Continuing our National Poetry Month Theme, this week's bonus show is a rePodcast of our interview with Georgia-based poet Dana Wildsmith from Episode #5. In it Dana speaks about her journey to becoming a poet, her time spent as a Writer in Residence around the country, her love of music and Garrison Keillor's reading voice, she recites some of her own poetry, and tells us about the workshops she was preparing for the 2009 WVW Summer Conference. We're happy to say that Dana will be a returning presenter for the 2010 WVW Summer Conference. You can find out what she'll be presenting by visiting our conference page and checking out the full Workshop Descriptions. 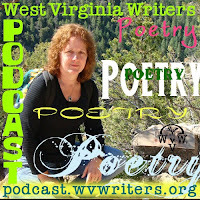 Dana's new book "Back to Abnormal: Surviving With An Old Farm In the New South"
In celebration of National Poetry Month, this month the podcast will be featuring all things poetry. For WV Writers Podcast Episode 28, we feature part 1 of a recorded live poetry reading done as part of Greenbrier Valley Theatre's Literary Tea series poetry edition this past November, in Lewisburg. Featured poets this week include the Tea's featured poet, WVW 2009 Writing Contest winner Sarah Crickenberger, and WVW member Sammye Lewis.